Stop worrying about the potential allergens and irritants in store-bought fabric softener—and save a little money—by switching to a homemade version of this laundry staple. 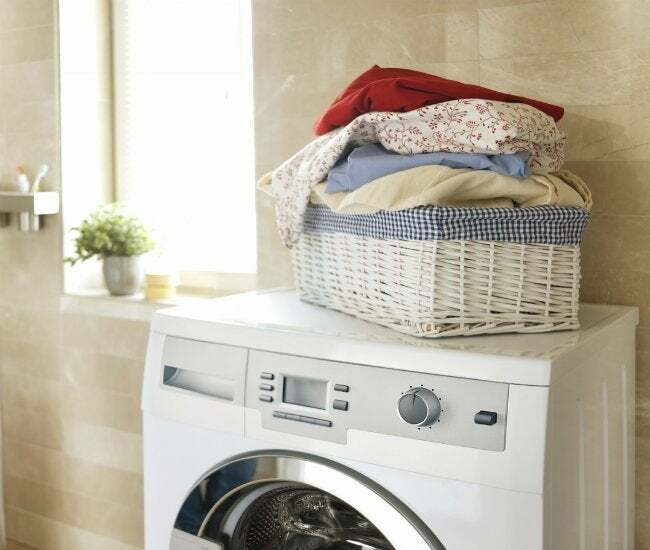 By adding a cap of liquid fabric softener to certain loads of laundry, you condition the clothing fibers and textiles running through that cycle. Maintaining the quality of the material, removing static, and sometimes even scenting your wash can be exactly what your favorite T-shirts need. Unfortunately, many store-bought softeners can contain harsh dyes and chemicals that can irritate sensitive skin and provoke allergies. Like making your own laundry detergent, and DIY-ing liquid fabric softener can be just as easy. By mixing together a few simple ingredients, you’ll have complete control of what cleanses the clothes on your back and the sheets on your bed—even save some money along the way by eliminating one more pricey laundry staple from your grocery bill. This popular recipe for homemade fabric softener calls for store-brought ingredients that you probably have at home already. 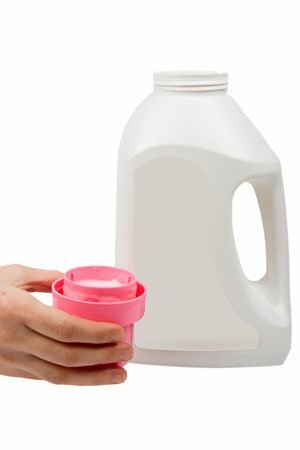 Pull out a large container in which to mix up the homemade fabric softener—either a 1-gallon pitcher or a bucket will work just fine. The pitcher’s spout will make for easy pouring into another bottle for storage after you thoroughly combine all of ingredients; otherwise, if you stir up the components in a bowl, you’ll also need a funnel. Heat 6 cups of water on the stove using a saucepan or kettle until it boils. Combine the hot water and 2 cups of hair conditioner in your container. (No need to limit yourself to a pricey professional brand—that will negate some of the cost-saving benefits of the DIY. Almost any generic brand will do, as long as you like the scent and have carefully read the ingredients to rule out potential allergies.) The hot water will help thin out the thick conditioner so that you can easily combine the two ingredients—and stir out any lumps—using a spoon. While your mixture is still warm, add the 3 cups of vinegar next (a go-to natural laundry ingredient that will remove odors and soften fibers) and continue to stir. Be careful not to shake the mixture, or else your conditioner might get sudsy! Transfer the finished product from your pitcher or bowl into an old fabric softener bottle (again, using a funnel if you need one). No bottles on hand? Any clean, gallon-sized container with a resealable lid, like a milk jug, can sub in—just choose something that will facilitate an easy pour into a measuring scoop come laundry day. When it comes time to put your homemade fabric softener to the test, use this mix on appropriate fabrics the same way you’d use its store-bought counterpart—about a quarter- or half-cup will do the trick, inserted at the start of the rinse cycle. Most machines have a dispenser, but you could also opt to distribute throughout the contents of a top-loading washing machine using a automatic fabric softener–dispensing ball to make laundry day even less of a chore.